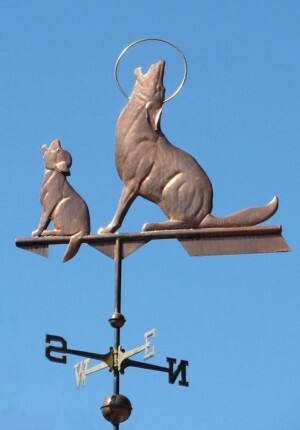 Not all our weathervane sculpture pieces come with arrows. 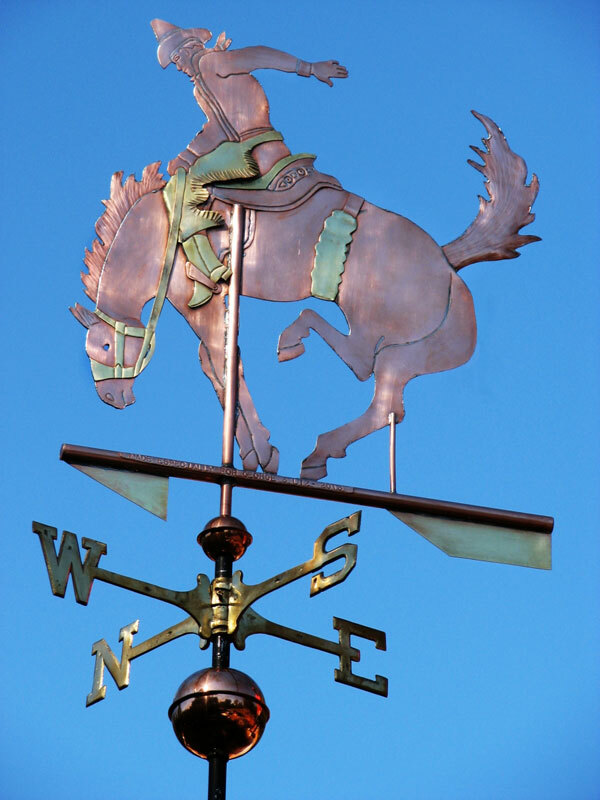 In some cases, with our horses and dogs for example, the horizontal copper tube beneath their feet is meant to represent the ground, giving it a more realistic appearance. 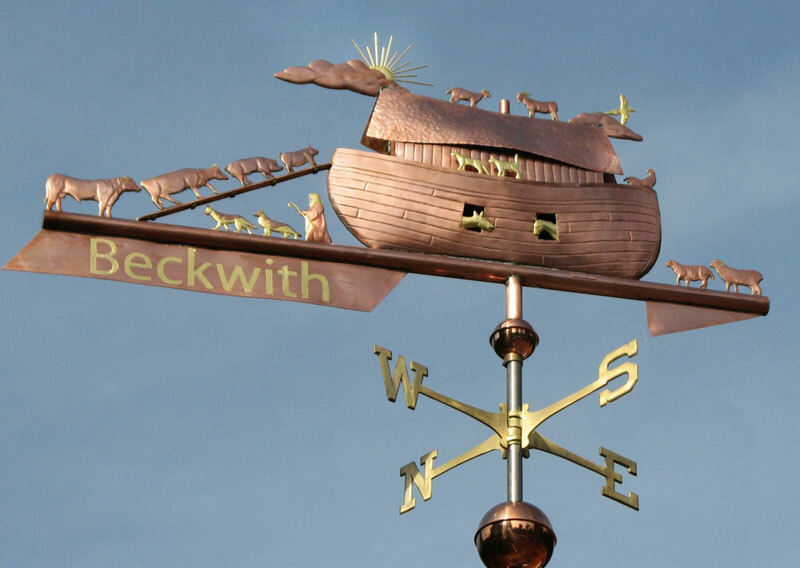 Because we custom make our weather vanes to every individual preference, you may select a particular arrow and fletching from any of the many options illustrated in the pictures and links below. They do not have to be chosen as a set. Full Arrows extend out in front of and in back of the main sculpture piece (see below). 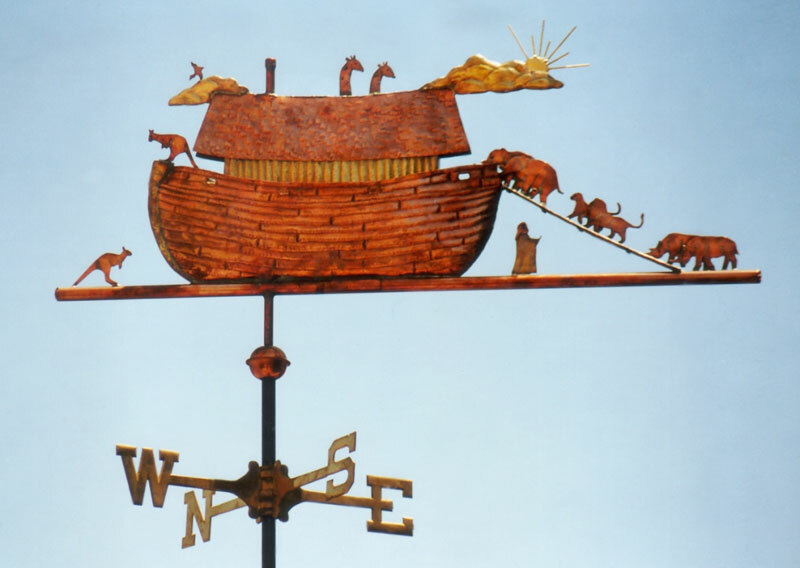 Because of this, they make the actual subject of the weathervane relatively smaller. 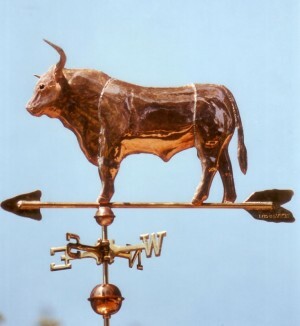 For example, in the Large sized three foot Texas Longhorn Bull Weathervane shown below, the Bull itself is only about two feet in size because the arrow tip and fletching extend out in front of and behind it. 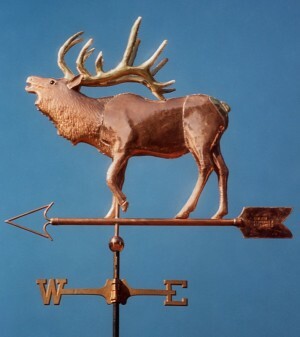 If you were to substitute the Full Arrow tip and fletching with a Half Arrow tip and fletching, the bull would be closer to three feet in size. 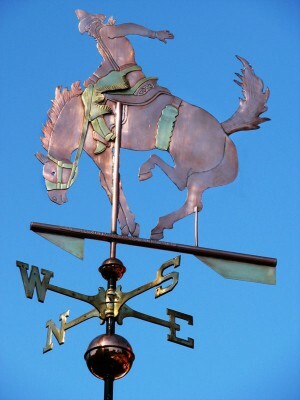 Half Arrows extend out far less in front of or behind the main sculpture piece than do Full Arrows (see the Carousel Horse Weathervane below). 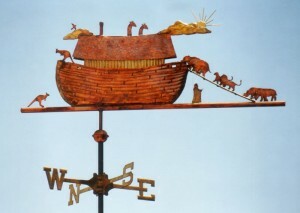 Because of this, the actual subject of the weathervane constitutes the entire sculpture piece. Half arrows still indicate wind direction but give you more sculpture piece per sized weathervane than do weathervanes with the arrow sticking out in front and in back. One other consideration in selecting either a Full Arrow or a Half Arrow is the size box required for shipping. 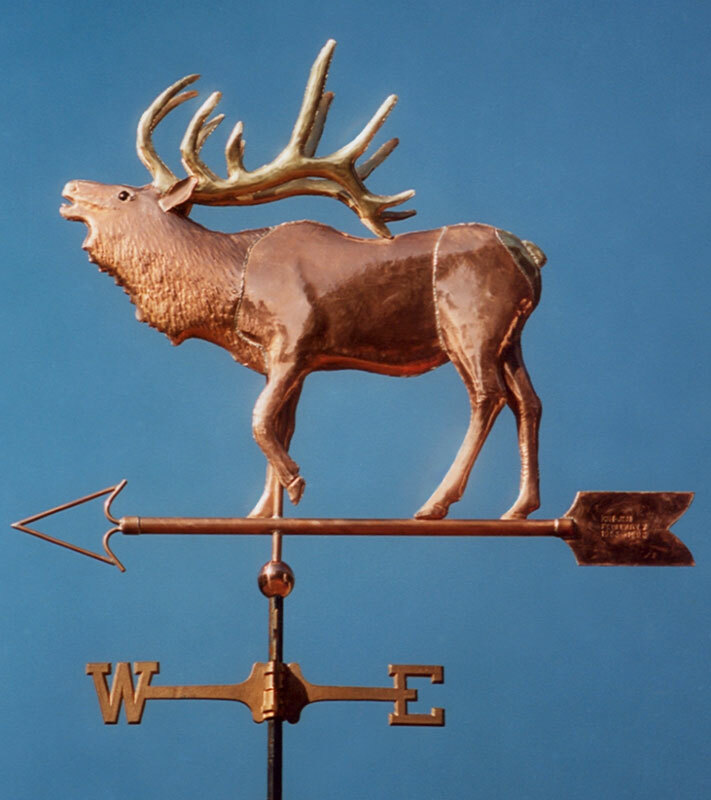 If you order a Medium sized (two-foot) Bull Weathervane and request that we add a Full Arrow to it, we will need to send it out in a large size weathervane box. This will usually increase the cost to ship the completed weathervane to you. 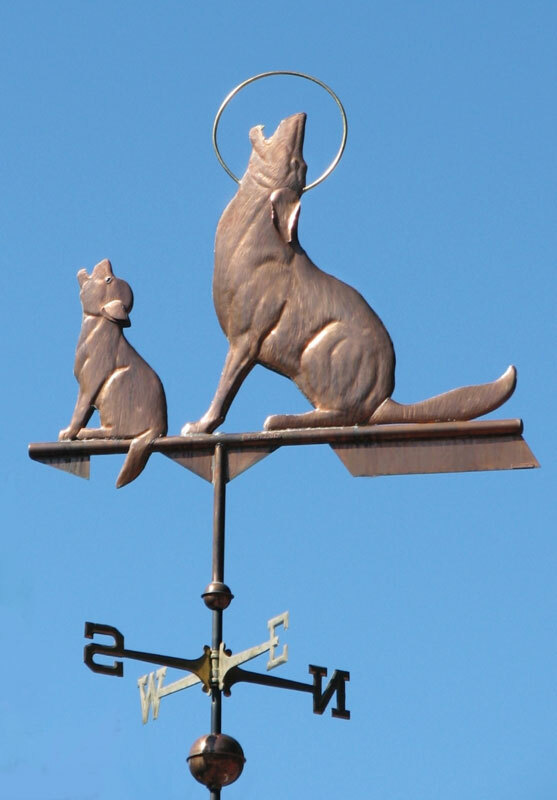 If you add a Half Arrow to your weathervane, in most cases, it will not require upgrading to a larger sized box. 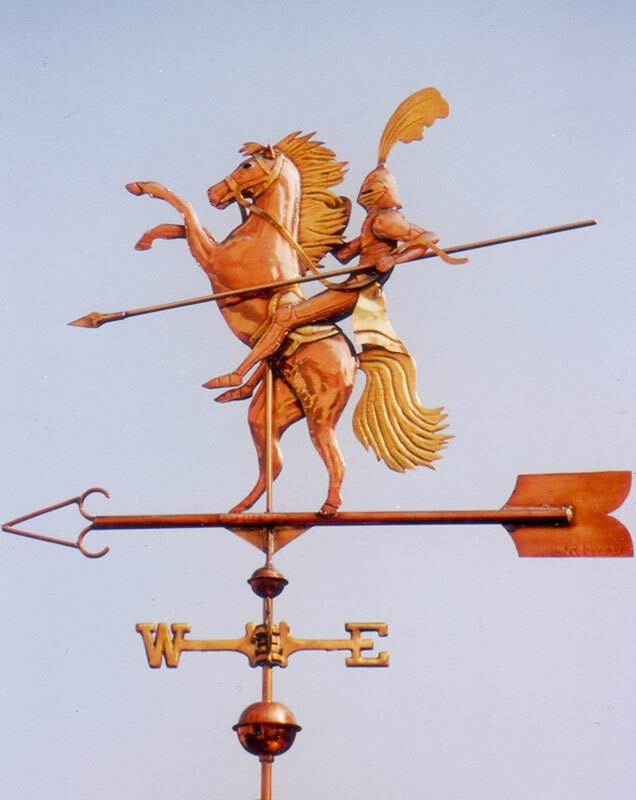 For a weathervane to turn correctly in the wind, there needs to be more surface area behind the pivot point. 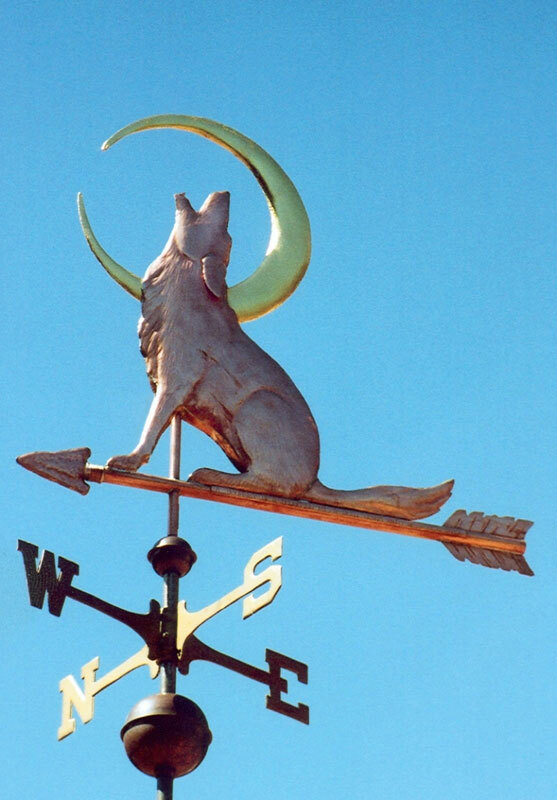 Traditional ‘wind catchers’ that serve this purpose are the ‘feathers’ at the end of the arrow’s shaft. However, just about anything can serve this function. 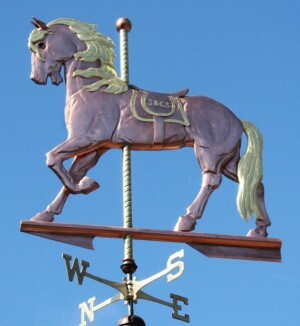 Below are some optional ‘wind catchers’ available for use with some of our weathervanes. Please click on the photos below to see enlarged views and more detail. 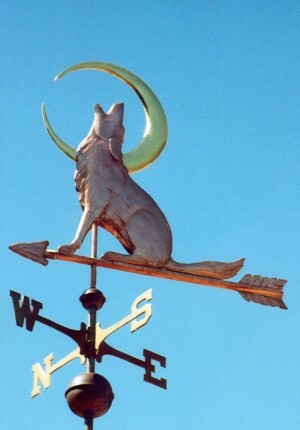 The types of arrows and ‘wind catchers’ are grouped by subject matter. 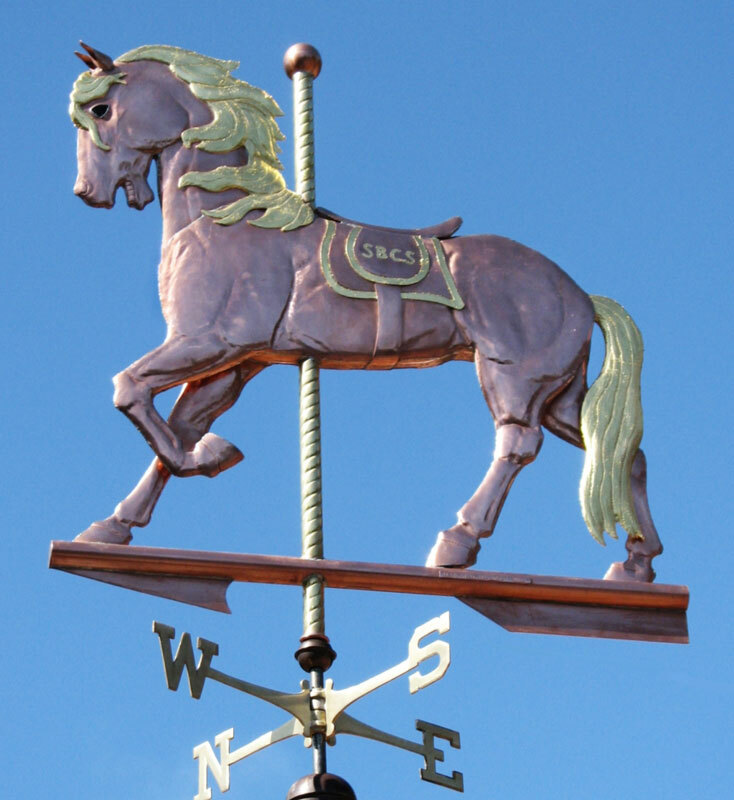 If you would like us to add an optional custom ‘wind catcher’ to your weathervane, please let us know. 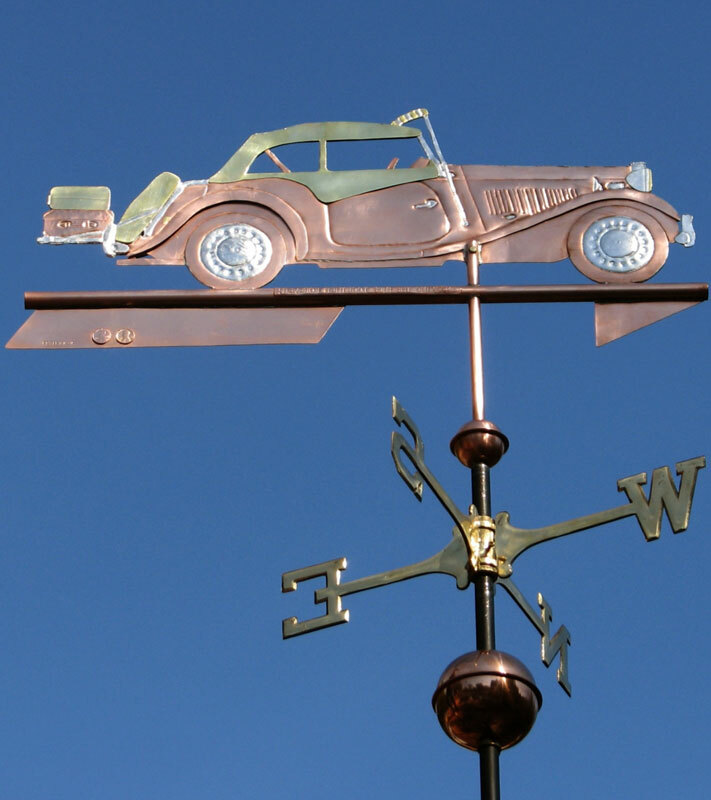 Depending on the ‘wind catcher’ you’ve selected, there may be an additional charge to incorporate it into your weathervane. 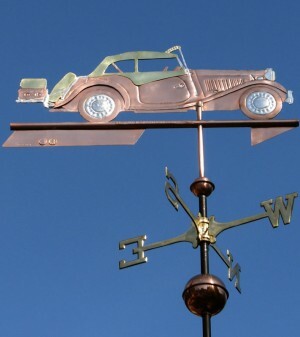 We also offer optional gold leafing on our ‘wind catchers’.